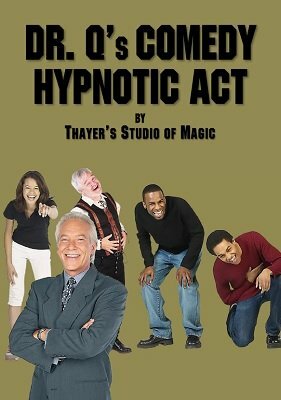 Imagine being a stage hypnotist, being able to hypnotize a group of audience volunteers and presenting a hilariously funny performance. Well, now you can! This system allows you to have instant control of a committee of audience volunteers on stage. By applying the information in this routine, you'll learn introductory tests to weed out the smart-alecks and keep the best subjects. Along the way, the hypnotic tests get funnier and funner. The more antics that the group of volunteers performs, the more laughter is created. Your audience will be splitting their sides -- and you're in command of it all. No stooges, confederates or assistants of any kind are used. No prearrangements. No apparatus of any kind is needed. You can present this act any time, any place. 1st edition 1944, 16 pages.